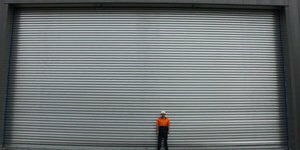 Direct Door Services QLD Pty Ltd specialises in Sales, Service, Repairs and Insurance Work for ALL industrial and commercial roller doors and Shutters. You won’t find any better levels of knowledge and experience when it comes to industrial and commercial shutters. We have been installing roller shutter solutions since 1993 and are aware of all the pitfalls. 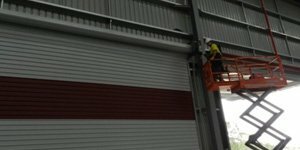 For over 20 years, our team have been specialising in industrial roller shutters and roller doors and have a sound and wide scope of knowledge of all requested type’s of industrial roller doors and shutters. Our products are built to endure the toughest of conditions, giving the user the reliability, security and durability that’s needed while operating the roller shutter. Roller shutters are built to take a beating from both everyday use and if impacted unlike roller doors (that are roll-formed from one sheet) roller shutters are made up of individual slats that are interlocked together ranging in sizes of 100ml – 75ml or 50ml slats. If a roller shutter is damaged, one of our highly trained technicians will come out to measure the slats that are damaged (beyond repair). The technicians will then get the shutter as operational as possible and will organise the new slats in the colour to suit your roller shutter (this includes all brands of shutters). Once ready, we will replace the damaged slats with the new slats, leaving you with a as” new roller shutter, with no down time to your business. Built to withstand high winds with the use of windlocks on every slat this prevents slats from coming out of the guides from high gusts of wind. They offer security to a client’s premises inventory and assets. Roller shutters can have perforated slats or slotted slats to give both ventilation and visibility to your desired requirements. Can be designed to suit a large range of applications – this can be for high usage areas like car parks or factories where multiple operations per hour are the norm. They come in all sizes ranging from a hand operated roller shutter and can span up to 17 metres wide motorized roller shutter.Additionally, at Direct Door Services, we can provide for all your motorised requirements whether it is for 240v or 3phase we have motors that suit your shutters requirements. Also, we only use quality products and provide after sale service agreements to help keep your shutters working to there optimum. Fire shutters are mainly used to stop the spread of fire from one area to another to minimise damage in the case of a fire – Fire shutters can be used as a normal roller shutter in the everyday activities. Fire shutters are activated via ether the fire control panel or a fusible link that will activate closure of the shutter at 72 degrees Celsius. For sales, service, repairs or insurance work for commercial roller doors, roller shutters or fire shutters, call our team today on 07 3802 2999.